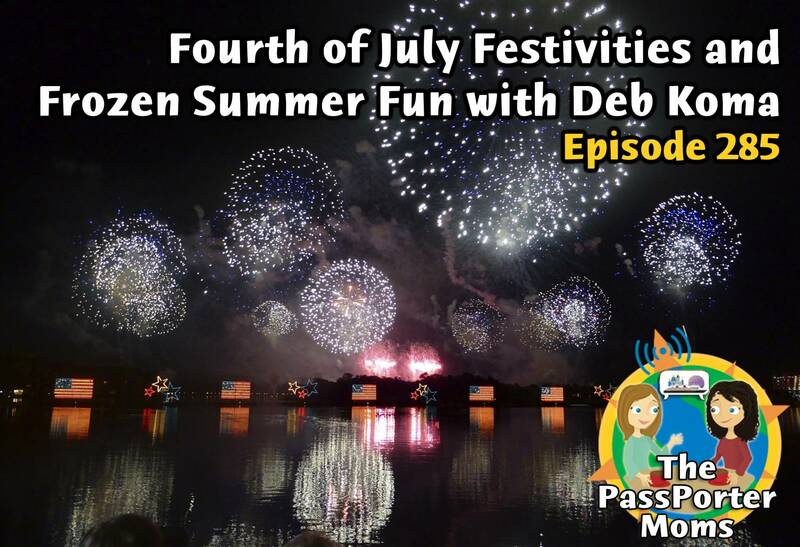 This week, Deb Koma from AllEars.Net joins Jennifer and Sara with information on Frozen Summer Fun as well as an update on the 4th of July celebrations at Walt Disney World. Plus listener celebrations, a newsletter update, and more! Debra Martin Koma, editor of the weekly AllEars® newsletter, is a freelance writer and mom who has written about food, travel and lifestyle issues for a number of local and national publications. She fell in love with Walt Disney World on her first visit there, when her son was just 2. She's lost count of how many times she's returned to her Laughing Place in the ensuing years, and enthusiastically shares her passion with readers of AllEars.Net and AllEars®. Deb is also co-author (along with AllEars.Net founder Deb Wills) of PassPorter's Open Mouse for Walt Disney World and the Disney Cruise Line, a travel guide designed for all travelers to Walt Disney World who may require special attention, from special diets to mobility issues. Type any extra questions received via e-mail here.